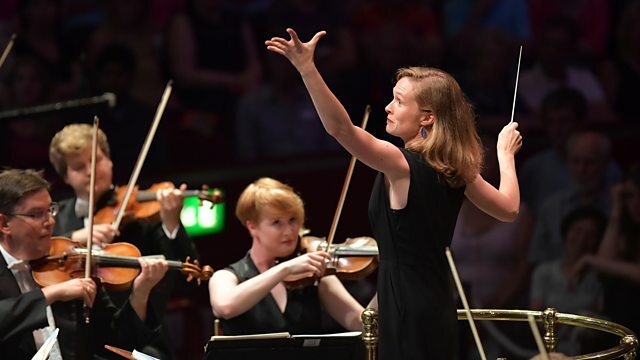 Live from the Royal Albert Hall, London, Mirga Grazinyte-Tyla conducts the CBSO. Mozart: Overture (The Magic Flute). Hans Abrahamsen: Let me tell you. Tchaikovsky: Symphony No 4. Orchestra: City of Birmingham Symphony Orchestra. Conductor: Mirga Gražinytė-Tyla. Singer: Barbara Hannigan. Orchestra: City of Birmingham Symphony Orchestra. Conductor: Mirga Gražinytė-Tyla.